Service manuals are published at time of order. 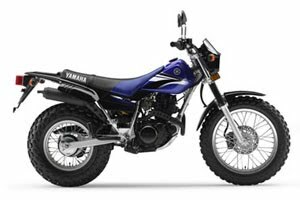 This allows Yamaha to include the latest up to the minute technical bulletins within the manual. Service manuals cover many model years. TW200 Owner's Manual 2006 Slight changes are made on the bike from one year to the next. Each model year has a unique manual. Be sure to order the manual for the correct model year. The owner's manual is bilingual including both English and French in a single book. See our 2006 TW200 parts microfiche pages to buy headlight, handlebar, transmission and other parts.